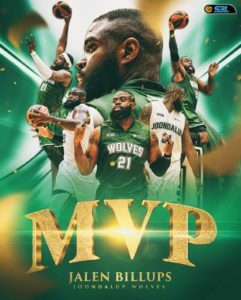 After finishing 3rd in voting from 2017, Billups’ MVP season has led a Joondalup Wolves team to the minor premiership. Season averages of 24 points, 8 rebounds and 2 assists place dominant forward in the upper echelon of 2018 imports. Billups has sustained strong performances throughout the year, posting eighteen 20-plus point games to go with eight ‘double-doubles’.